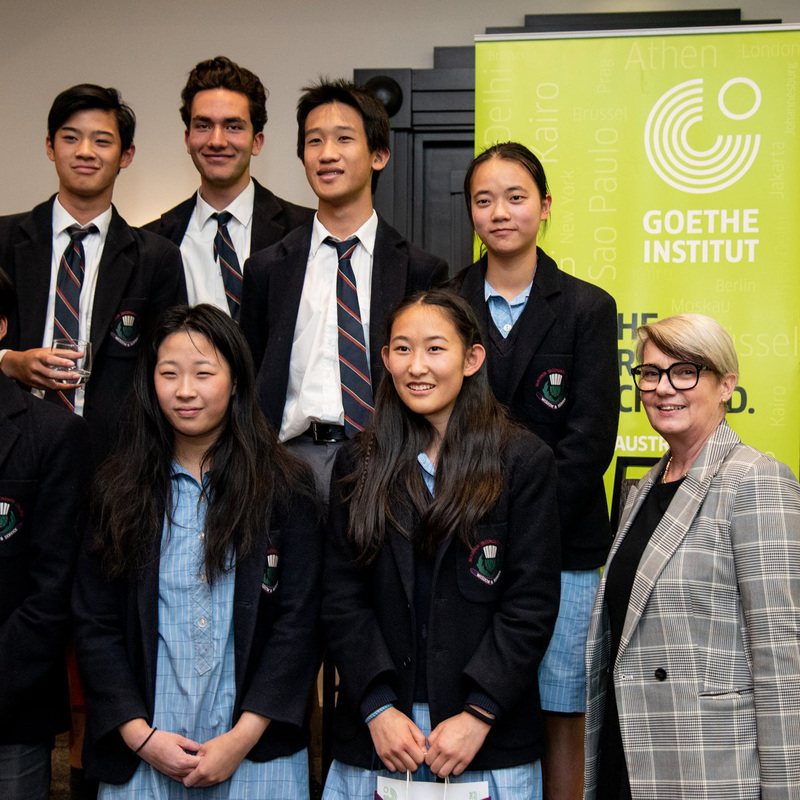 On Friday 9 November 2018, Year 10 German students celebrated their participation in this national project initiated by the GOETHE INSTITUT AUSTRALIEN. This program connected German businesses with students and engaged in learning for a purpose outside the classroom. The students needed to complete three modules, one focusing on learning more about the economic region, one inquiring about a certain company and presenting their findings and the final module required the students to submit a business idea or service after they had visited the company. The class was working in six groups with Dresden Optics, BMW, Melbourne Design Studio, Henkell Brothers and the Cuckoo restaurant in the Dandenongs. 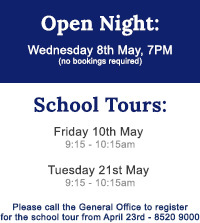 Visits to all businesses were organised and students submitted presentations and/or videos for each module in German (150 - 200 words each). The final awards ceremony last Friday brought representatives from 16 schools, even from Perth and Sydney, to the Bayview Eden Hotel in Melbourne. Representatives of businesses, the German Business Chamber and the Honorary Consul General of the Federal Republic of Germany in Melbourne, Michael Pearce, were present. Nina Liu, Jeffrey Chum (Year 10) and I were invited to participate in a panel discussion with students and teachers to talk about our experience. It was with great pride, that two of my groups, ´Fowlers große Jungs´ and ´Die Jungunternehmerinnen´, received awards. 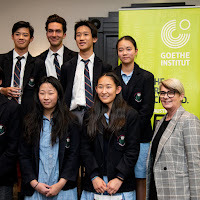 ´Fowlers große Jungs´ took the second prize (worth $300) behind the Sydney International German School and ´Die Jungunternehmerinnen' were awarded a Special Prize for Design (worth $100). All participants were challenged in this project and I would like to congratulate students on the effort and creativity they showed. 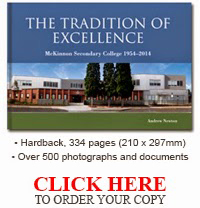 I would also like to thank Mr Nutting and Mr O'Brien for supporting the project by driving students to companies. From 2019 this project will be further extended in the Asia Pacific region. The undeniable benefits of learning a foreign language - Please read on if you are interested.